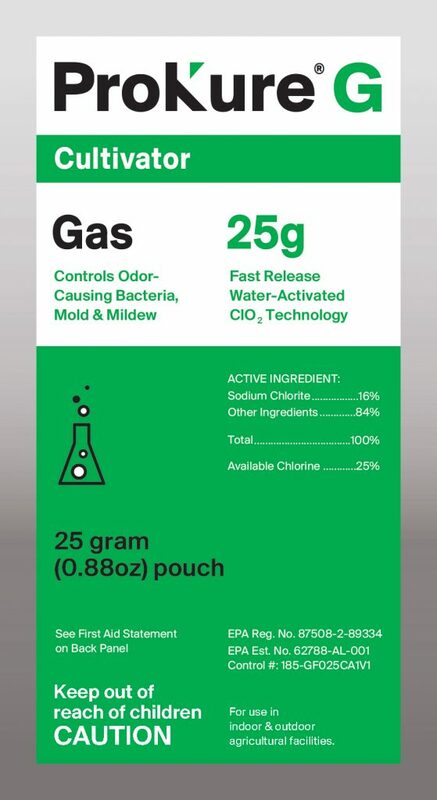 Formulated for use between harvests to control odor-causing bacteria, mold and mildew, ProKure G is an EPA-registered ClO2 breakthrough technology. 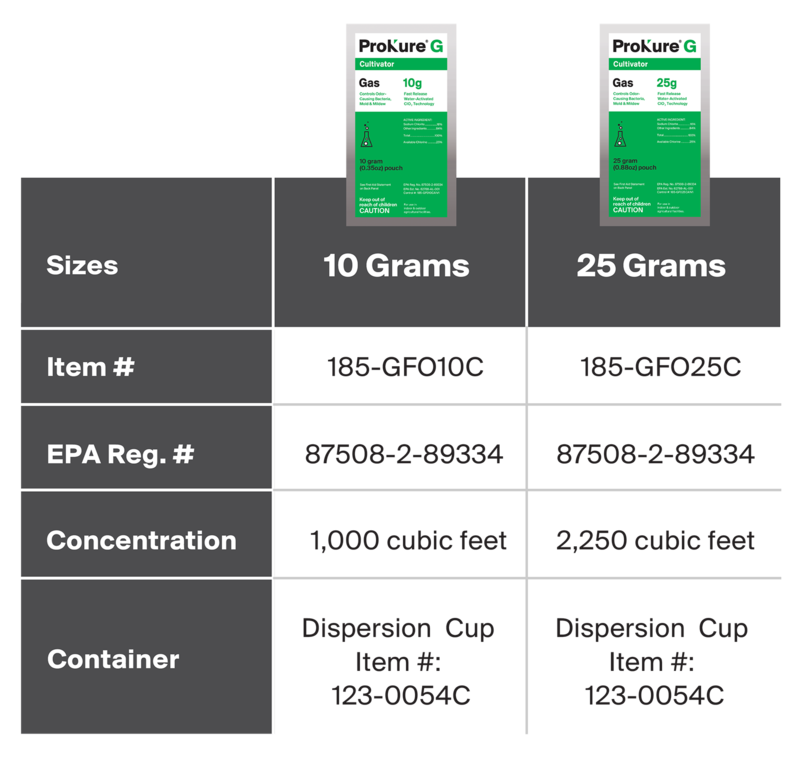 The ProKure G patented vapor delivery system is deep penetrating and designed for use throughout the year. It is a violation of Federal Law to use this product in a manner inconsistent with the labeling. Read the entire label and use strictly in accordance with precautionary statements and use. 3. Place it on a stable, level surface in a central location. 4. Allow at least 4-6 hours for the system to work.